Here at Property Watch UK, we pride ourselves on offering the best home security services that we can. These services include 24 hour call outs, CCTV and top of the range security alarms and security systems. Crime is a fact of life, and we know the true cost of a burglary is not just what they take, it’s the feeling of insecurity that is left behind. We know that our alarm systems are effective deterrents to burglars, and that is why we strive to offer the best 24/7 protection. We want to help protect you and your home. And help you avoid the emotional trauma of being a victim. 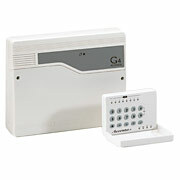 All of our security alarms and full security systems are supplied and fitted by our expert team. We also offer 12 month warranties with all of our systems. And for that added peace of mind, we have teams on call 24 hours a day. So no matter when your alarm might go off, we will have you and your home covered. Our high tech security alarms come fitted as standard, and they include a bell box which gets attached to the outside of your house. Our bell boxes are louder than normal alarm boxes, and it also contains flashing strobe lights. 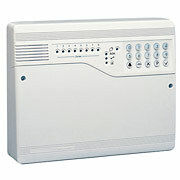 The alarm systems we stock start from £185.00, everything included. As a company, we pride ourselves on being upfront with our customers, and that runs through our pricing systems. We don't have any hidden costs, so what you see on our website is what you get! We even supply pet-friendly security systems, they can detect the movements of your pets, so you can confidently set your alarm when you aren't in the house, with the knowledge that your four-legged family member won't set it off! Property Watch is a leading home security installation company! Our head office is based in Stockport; however, we also supply our security services in Manchester and Cheshire. In fact, our call out teams actually cover properties within a 50 mile radius! Which means we can successfully cover most of the North West. Why not give us a call and let us help you upgrade your property security today!